jAs Interior Designs – Making great design transparent and inspiring. Back in his time, Greer was a bit of an avant-garde, and executed juxtaposition in his design über successfully. One would guess that he thrived on the element of surprise. In his book, Greer states, “Presumably you don’t wish to electrocute your guests, decoratively speaking, but you certainly should wish to be interesting even outrageous enough to shock them a little here and there…..Mild or violent, legitimate shocks (those neither ugly nor grotesque) are as essential as spice to stew, and to permit none of them to occur is to sign an affidavit to one’s lack or imagination, with adjustment or humor”. Don’t you love his pomp? Every day cooks and chefs mar such elements via flavors and sweeteners don’t they? Think: sweet/salty, sweet/savory, spicy/sweet. Why do they employ this method? Well….. as a way to shock- mild or violent, (depending on your taste buds) and with varying degrees of success. As an interior designer, I see this commingling of different styles and elements pervasive more than ever. Take for example: contemporary and rustic, bohem and modern, industrial and chic, mid century and modern, farmhouse and modern, the list goes on. What makes this “marriage” so unique and intriguing is the fact that the possibilities are limitless (as they should be a reflection of our personalities, style and taste). 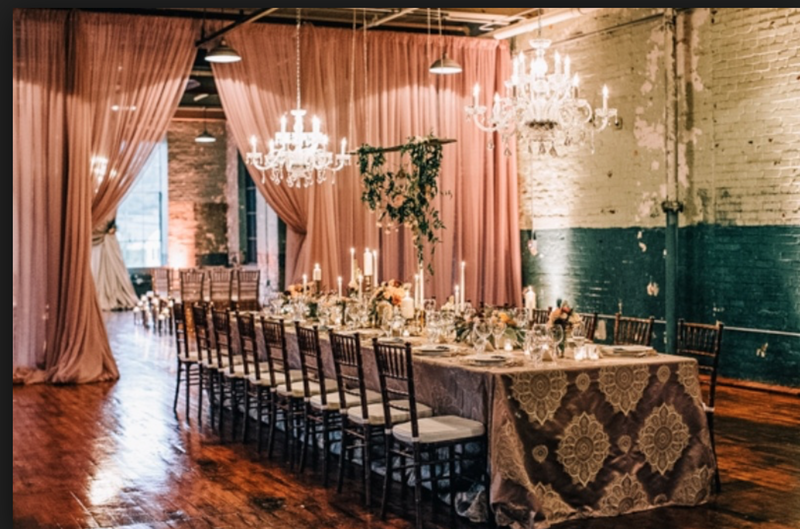 Last week, I came across an article about a designer who combined a unique style for her clients and coined it “Vintage Industrial Romantic.” The design used a combination of some masculine, feminine, and classic pieces made up of rustic wood and industrial lighting. Trying to capture the essence of that design style, I came across this. What do you think? Start with just one piece. The 80-20 rule holds true and is an ideal starting point. Upholstered Bergere chair with an ultra modern and gorgeous Timorous Beasties Kaledio Splatt Allover velvet fabric. When executed successfully, the rewards are worth the risk with a space that looks interesting, eclectic, lived in and even a bit nostalgic. There’s a term we use in the world of design, and it’s called, tension. It is a balance maintained in an artistic work between opposing forces or elements. It’s that “je ne sais quoi” that brings energy to a space making your eyes linger while catching you slightly off-guard. Personally, it gives me the goose bumps. Good design causes tension. But hey! it’s not for everyone. For some who desire that matchy matchy look, this probably will not be your cup of tea. But isn’t it part of our job as designers to push our clients out of their comfort zone, if even a tiny bit? Want to embark on larger scale project within your home but don’t know where to start? Seem too daunting? Well then my beauties…..what are you waiting for, pick up the phone and leave it to the professionals. Til next time. Author JAS Interior DesignsPosted on July 30, 2017 July 31, 2017 Categories Boheme Modern, Contemporary Design, Decor, Decorator, Design Ideas, Interior Design, Interior Design Quotes, Jonathan Adler, Michael Greer, Modern, Rustic ModernTags Bergere, Boheme Modern, Contemporary Design, Farmhouse, Industrial Chic, Interior Design, Jonathan Adler, Michael Greer, Mixing of Styles, Modern, Rustic Modern, Timorous BeastiesLeave a comment on How Not to Electrocute Your Clients While Keeping It Interesting, Decoratively Speaking. Architectural moldings and millwork add style, character and a bit of distinction within a home and rids the “empty box syndrome” (plain and featureless) that can be common in a lot of homes today. 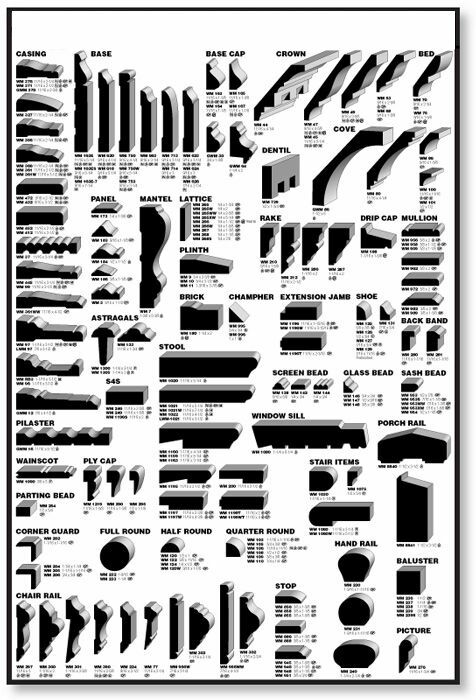 Architectural moldings come in a variety of profiles that can be chosen based on one’s project requirements and budget. They come in virtually every style and they can be stock or custom, factory pre-primed for paint and stain in solid milled wood, or plaster, or reformed wood—and perfect for a remodel or restoration project. When used creatively, architectural moldings can have a stunning and memorable impact. 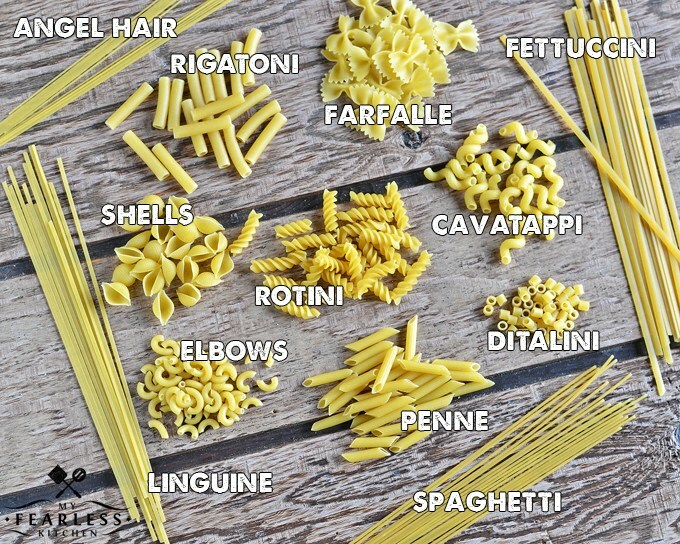 Being a proud Italian, I relate architectural moldings to pasta: Pasta comes in a wide variety of styles: rigatoni, fusilli, penne, fettuccine, pappardelle, tagliatelle, spätzle, cannelloni, etc., and can handle any type of sauce and ingredients (though fresh is best). Like pasta, architectural elements within a space are timeless and can stand on their own, and can accommodate a variety of design styles from classic to contemporary to modern to Boheme to Art Deco to Arts & Crafts, to French or English Country and so on. Like a good pasta sauce, you do not want to dress the pasta with too much sauce. Less is more. Restraint is the key. And that’s the beauty to “goodness”. I got to agree with Greer—it’s a critical detail that often gets overlooked though it seems to be making a major comeback. I was going through some old magazines dating back to 2009, and couldn’t help but notice the beautifully photographed spaces with the good bones. Trust me on this. 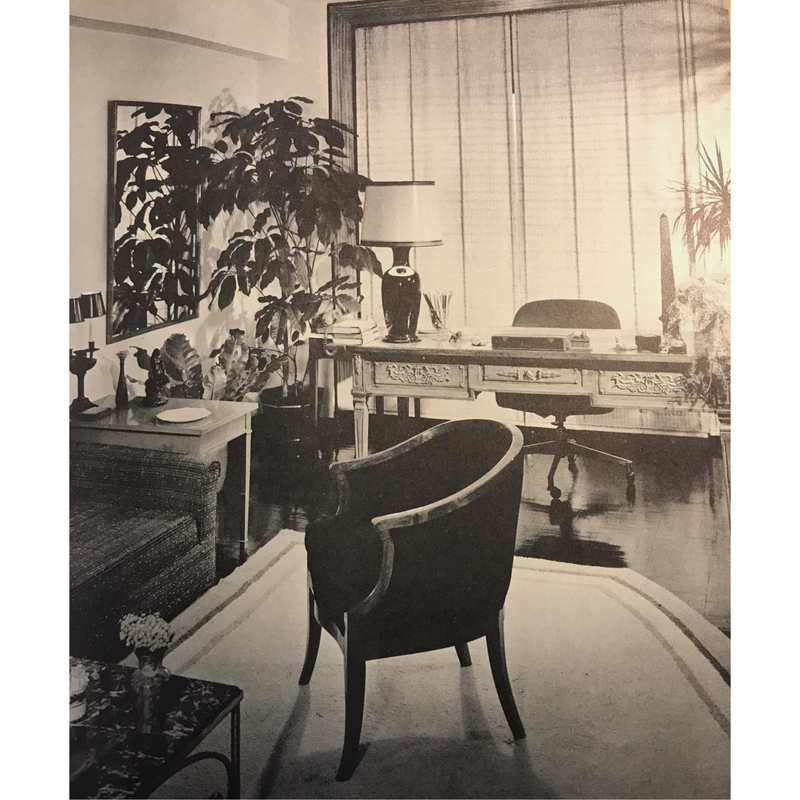 Peruse any furniture and décor catalog, and on the cover, one will surely see a photo spread of a beautiful space adorned with stunning architectural details. (check out catalogs such as CB2, West Elm and Restoration Hardware). They might lead you to think that they are essential. During a preliminary client meeting, when walking through the client’s home, a good designer will check for the bones of the space. Always. What do we mean by “great bones”? High ceilings (over 9’), pitched, ceiling beams, etc. …and if left all by itself, is simply BEAUTIFUL. No other adornment is required. Filling it, one must show restraint with design execution. Design decisions include: choosing shape/lines, color, lighting and style of furniture. What if the space lacks these “good bones”? What then? Here’s the good news- it does not have to permanent. Take for example, a long dark narrow hallway- think bowling alley. What can we do to transform the space? Let’s begin with the architecture. Paneling would also be a fantastic option. This would break up the long expanse while creating some visual interest. Finish off the design with a nice white wall paint, fabulous sconces, long carpet or dark floor (for high contrast), add wall mounted mirrors and/or art work. And viola! Instant panache. Though they can provide rich detail and even assist in the replication of a historical design, the choices can be daunting for the lay person. Choices include: decorative interior moldings, decorative wall accents, decorative ceiling accents, interior mill work, etc. So, if you know you want to add to or add some good bones within your home but don’t know where to start and need some guidance what are you waiting for……..call a professional! Author JAS Interior DesignsPosted on June 28, 2017 Categories Interior Design2 Comments on Essential Architectural Moldings: Is it Breaking The Mold? Decorative molding is that classic touch that’s been around since the ancient Greeks and Romans. Molding is one of the most dramatic ways to add panache and value to your client’s home. Investment costs can range dramatically depending on the project size and the molding types chosen. From simple to ornate, material options range from solid wood species to MDF to flexible options made out of foam to any creative material imaginable (read further). The Pantheon was built between 118-128 AD, and is the largest and most accessible complete classical temple front known to the Italian Renaissance. Because of its exemplary classicist design, it has been copied many times by modern architects. Peruse any interior design magazine or furnishings catalog, and you will see interior spaces graced with architectural moldings. Hands down, these images stand the test of time! Take for example, West Elm, a Brooklyn-based furniture company touting themselves as the intersection of modern design, affordability and community. Take it in! January’s front cover captures a beautiful and timeless space, and yes- you’ve guessed right, it’s adorned with ornamental molding staged with modern flair. According to a recent report by National Association of Home Builders, “What Home Buyers Really Want.”, potential buyers consistently rank crown molding and chair railing in their list of most desirable decorative features they seek in a home (#3 and #7 respectively). Have a client on a tight budget? Begin with a small improvement trimming the space with simple molding giving it a finished and expensive look. Use crown molding to make a room seem bigger and taller. Careful considerations about proportion is paramount, and could make or break your client’s investment. For ceiling heights of 9 feet or less, a simpler style is recommended to avoid that out of balance proportioned space which can be overwhelming. Moldings have a variety of profiles that add architectural interest while supporting your design intent. Want a more dramatic and lasting impression? Add indirect LED lighting that casts a soft, ambient glow and leads the eye upward above cornices, cove molding, chair rails and even baseboards. Using crown molding along doors and window frame. Using crown molding to accent a coffered ceiling. Available collections include various geometric shapes ranging from square, rectangle, octagon, hexagon, pentagon, triangle, etc. Using chair rails. Chair railing, like art work, when placed incorrectly, can make a room seem out of proportion. This is a good solution in smaller spaces. Chair rails are generally placed at 32″ A.F.F. (above finished floor) and adds a dramatic accent to a space. Use different paint colors above and below the rail or use paint and wall covering for a special effect. Not a Traditionalist? Do not fret. There are an unlimited amount of creative options out there for all of your client’s style be it gothic, urban, contemporary, mid-century modern, industrial, nautical, bohemian, shabby chic, etc. Think outside the box. Take for example, 21C Hotel’s lobby in Oklahoma City. I absolutely admire the use of the perforated steel as a respectful nod taking it back to its origin as a Ford Motor Assembly Plant. Architectural detailings give us the opportunity to help our clients creatively express their unique style. It also increases their home’s value. It’s certainly in our best interest to help our clients understand the value in setting aside budget for their remodel projects. Let’s get them ethically disposed to finding the budget for this design detail. After all….. Author JAS Interior DesignsPosted on January 7, 2017 January 7, 2017 Categories Architectural Molding, Chair Railing, Coffered Ceiling, Cove Lighting, Crown Molding, Decor, Interior Design, Interior Designer, Michael Greer, Moldings, Neoclassicism, Timeless Design1 Comment on Architectural Moldings: Are Your Clients Ethically Disposed to Making Budget Available? Miniaturization and Reflection about Greer and Interior Design. According to Michael Greer, “Queen Anne, a girl about as diffident toward decorating as Pansy Yoku, had very little if not absolutely nothing to do with Queen Anne.” Arguably with some careful analysis and a little soul-searching, I would have to disagree with Greer. But first….Have you even heard of Pansy Yokum? Me neither. Apparently, she was one of the famous Dogpatch cartoon characters of Al Capp’s long-running syndicated newspaper strip which ran from 1934-1977. She was the pint-sized, highly principled, corncob pipe-smoking leader of her family, aka the Yokum clan and the town of Dogwatch. She certainly looks tough, doesn’t she? My first-generation Italian grandmother was a little like her. 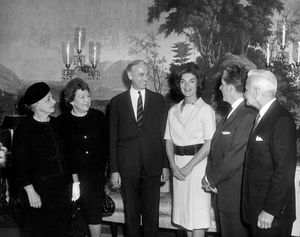 We could surmise that Greer, a NY native, was one of Capp’s admirers since Capps’ total readership exceeded 60,000,000 in the 40’s. Capp was born in New Haven, CT. So, while Cap entertained millions daily, Greer was busy designing posh Manhattan spaces while impressing his affluent clients. 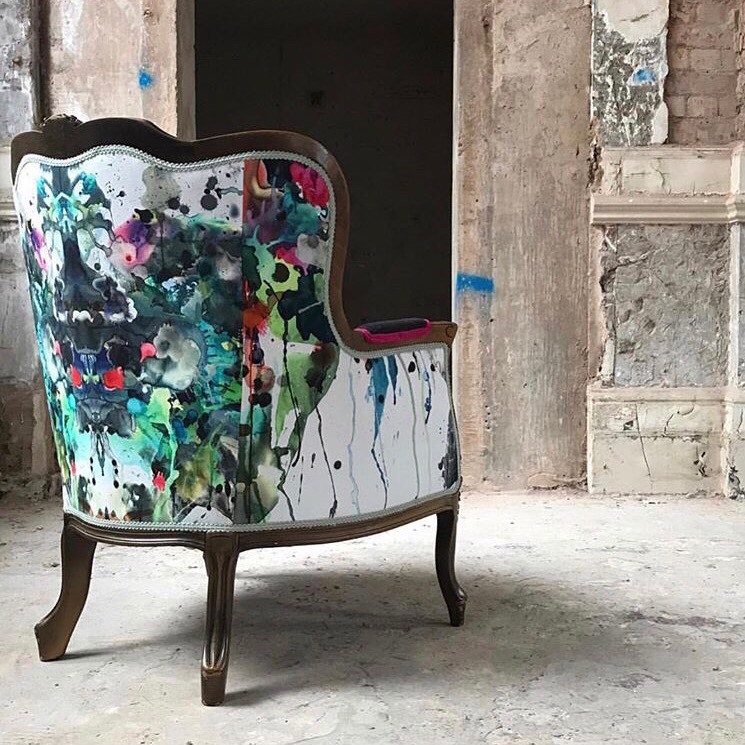 Contemporary wing back chair painted in high gloss paint and upholstered in velvet fabric. Martha Stewart. Schumacher, Arches Print in Bamboo. Geometric, bold, dramatic and colorful indoor/outdoor fabric ideal for upholstery, drapery and pillows. Van Den Akker’s Pedrino Club Chair. Also available as a Settee. Shown in Maple with brass hardware. Other wood species and finishes available. Hardware can be specified in brass, nickel, chrome or studio bronze (which is currently on trend). De gournay’s Japanese and Korean Wall Covering, Kiso Mountains Design on Statue India Tea Paper. Photo Credit: Natalie Didham. Schumacher, Sonriza Print in Orange. Dynamic circular/spiraling pattern ideal for pillows, or upholstery. Available in Java and Pool. Greer would not see the likes of the Yokum clan nor would they be traveling in the same circles. Originating in England, the peak period of the Queen Anne style in America, was in the late nineteenth century, and had several personalities: some homes were ornamental and fanciful while others showed more restraint, and yet some were asymmetrical in design. Since this style was during the Industrial age, factory-made, pre-cut architectural parts were brimming at the seams. Chinese-inspired early Georgian furniture with cabriolet legs terminating in a pad or drake foot (yum!) manufactured from walnut with flowing graceful lines were becoming exuberantly popular. Overdone, a space in this style could be perceived as being dark, heavy, cluttered and out of scale. Today, there are so many directions a designer could take this style. Is it challenging? Definitely! Let me warn you, it is not for the faint at heart. Oh, the places you’ll go! Here’s where experience and yes, even some of Pansy’s brazen fearlessness comes into play. Boldly and with confidence, in today’s contemporary space, this is a designer’s dream. This would NOT be the time to hold back nor show hesitation. 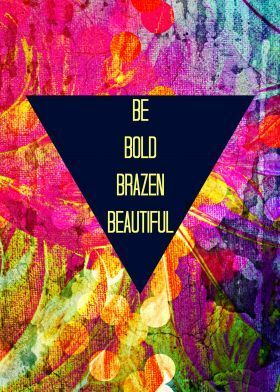 THINKING OUTSIDE THE BOX, introducing PLAYFUL color and/or pattern (INTRICATE, ARCHITECTURAL, GEOMETRIC) done in BOLD ways is indeed the way to go. Why not wallpaper a ceiling or use whimsical over scaled wall covering in the powder room? Got a thing and the budget for hand painted silk wallpaper? The real finesse is knowing how to BALANCE without over doing- something outside of Pansy Yokum’s realm. So here it is, with some deep soul-searching, some characteristics of which the Queen Ann style and Pansy Yokum might share: BRAZEN, BOLD, UNCONVENTIONAL and ECLECTIC. I think I may have been able to change Greer’s opinion over a cup of coffee. Bold as brass, eh? Author JAS Interior DesignsPosted on January 2, 2017 January 2, 2017 Categories Al Capp, Club Chair, Contemporary Design, Decor, degournay, Interior Design, Interior Designer, Michael Greer, Osborne and Little, Padrino Club Chair, Pansy Yokum, Queen Anne Style, Schmacher, Van Den AkkerTags Interior Design2 Comments on What does the Queen Anne Style and Pansy Yokum Have in Common?